(Very) last minute gift ideas! Being a teacher, I broke up last Friday, so I've had a week to make sure my gifts are all bought, wrapped and under the tree. But for those of you not so fortunate who might be heading to the shops after work tonight, or tomorrow morning, you need an action plan so you can be in and out without being caught up in the shopping frenzy. To your advantage, however, leaving your shopping close to the wire means that you can pick up some serious bargains as many of the shops have been slashing their prices this week. 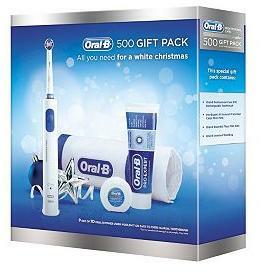 Which leads me onto my first suggestion of the Oral B PC500 gift set which includes and Oral B Professional Care toothbrush, Oral-B’s Pro-Expert All-Around Protection toothpaste, Oral-B Essential Floss and a Oral B Wash bag to keep all your goodies in. 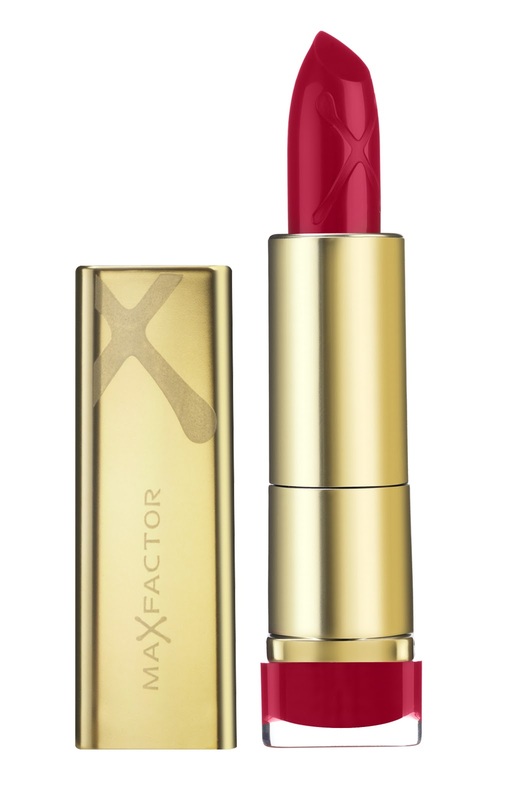 This gift delight would normally cost £60 but as it is one of Boots Star Gifts this week it has been marked down to £27.99 and you can order online and collect in store rather than hunting the shelves. Who doesn't want shiny nashers for Christmas? Gorgeous luxury bath and shower sets will always go down well, no matter who the recipient is and Molton Brown have brought out range of new gift sets to choose from. I'd love to find 'Optical' under the tree this year which includes Heavenly gingerlily bath and shower gel, body cream and eau fraiche (£59). Yummy! Or for the man in your life treat him to their set of four different shower gels (£49). Or for Granny, what about one of Yardley London's gorgeous Soaps in one of the following of their classic fragrances: English Lavender, Lily Of The Valley, English Rose & April Violets all of which come in a cute tin and at only £4.99 you can get Grandma a box of her favourite chocs to go with it. I have struggled to find a body moisturiser of the perfect concistency for my skin. I love body butters, but by the end of the day they can leave your skin feeling a bit sticky. The alternative lighter products don't have this problem, but lack the intensive moisturisation. 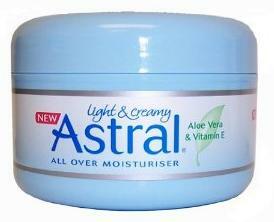 I have found the perfect compromise in Astral Light and Creamy all over moisturiser. It sinks into you skin with ease, giving an injection of moisture but doesn't cause any greasy build up. Since I've been using it for the last few weeks my winter scaly skin has been transformed into butter-soft lovelyness. At around £4 for 200ml it suits the post-christmas-shopping saving! Available from Boots, Superdrug, Sainsbury's and good chemists. In my teens 'cleans, tone and moisturise' was my mantra but in my twenties, my skin has become less oily and I ditched the toner years ago as I feel it can dry out my skin too much. However, as many cleansers are designed to have a toner to follow to remove the final traces of the product left on the skin, you don't always get the squeaky-clean feeling. 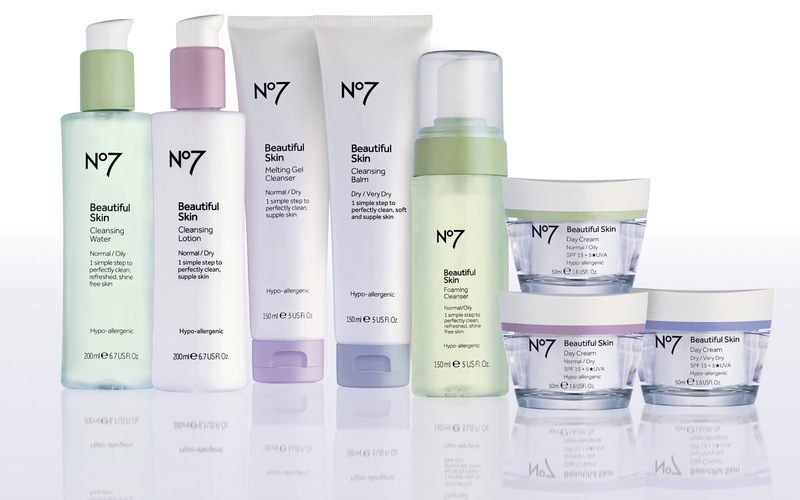 Boot's No 7 are due to launch their 'Beautiful Skin' range early next year which includes clever cleansers which have been designed to remove all traces of dirt and impurities without the need for a toner. Since the launch event in October, the Foaming Cleanser (normal/oily skin) is now one of my bathroom staples. It makes my skin feel super-clean and smells gorgeous, reminding me of a much more expensive brand. The range also includes wipe away cleansers for normal/oily, normal/dry and dry/very dry skin if splashing your face before going to bed doesn’t help send you off to beauty sleep. 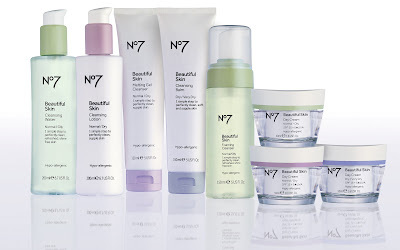 When I think of No 7 it does make me this of the more mature lady, as their moisturisers and serums are normally jam-packed with anti-aging goodies. 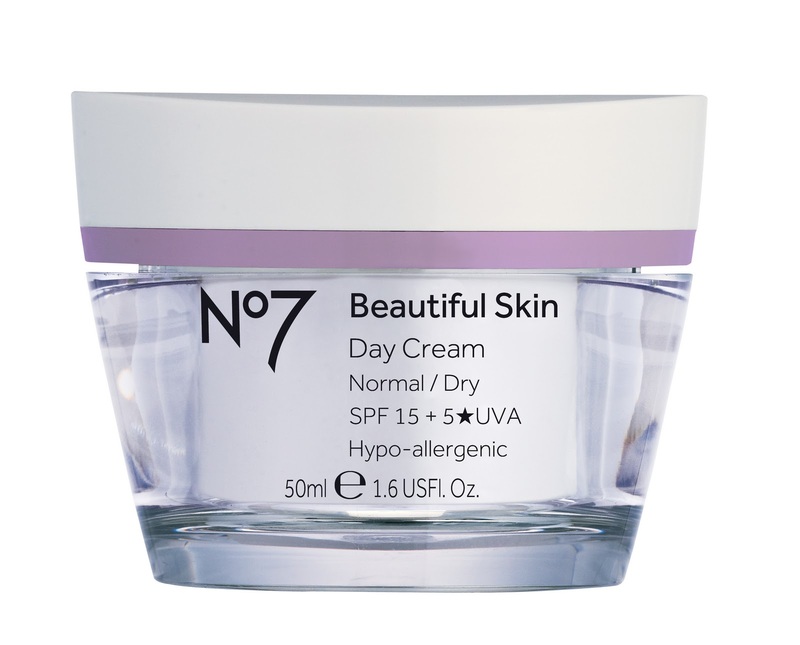 Although the 'Beautiful Skin' range is aimed at girls in their early twenties, the moisturiser still contains SPF15 and 5*UVA technology as a preventative measure against future ageing.﻿ Skin care with heart. 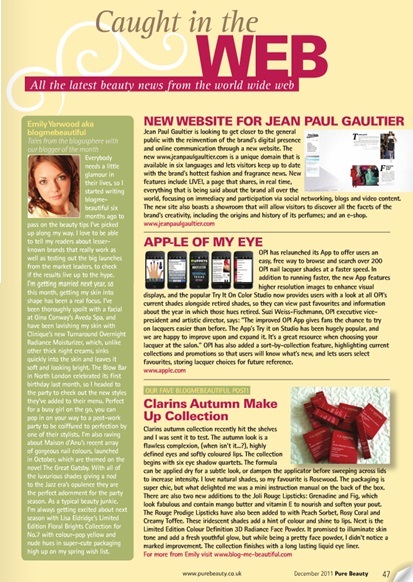 I'm so excited that blogmebeautiful has been chosen as 'blog of the month' in the December issue of Pure Beauty Magazine. 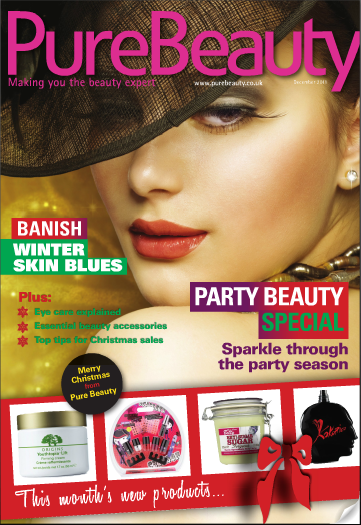 It is a subscription magazine, but you can view it online for free here and I'm on page 47! Last week one of my work colleagues was smugly telling me she had done all her Christmas shopping AND had wrapped everything. This has panicked me into action, so this week I have done some serious online purchasing so my nearest and dearest feel special on the big day. It may not come as a complete surprise to you, that finding a little beauty item under the tree is always a winner, so here is some inspiration for your Christmas Shopping List. 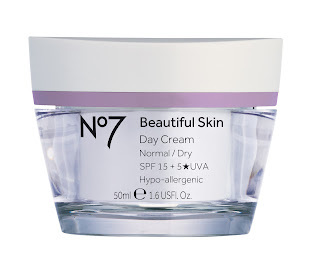 If you decide to go for skincare for the most important lady in your life (Mum - obviously!) 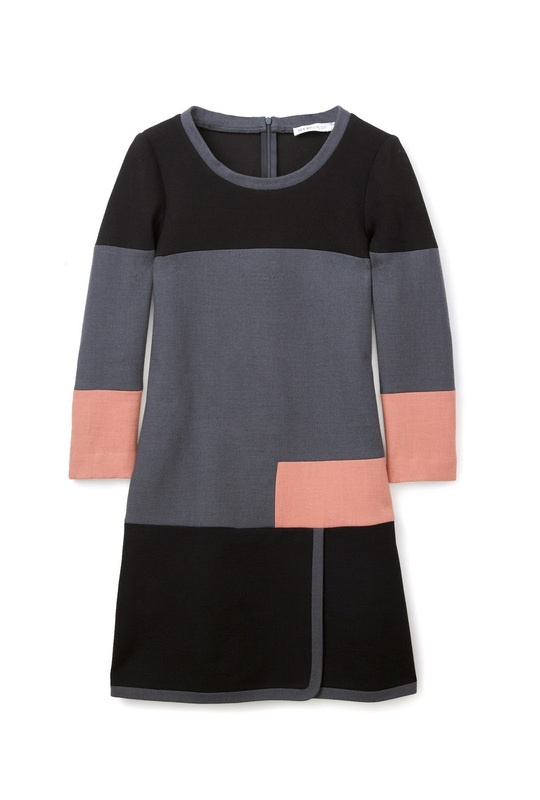 go as high-end and luxurious as you can afford. As fantastic as you might think one of the supermarket brands are, it’s not going to make her feel spoilt and appreciated. I recommend one of the gorgeous masks by Darphin; you can choose from a Hydrating Kiwi Mask which after leaving on for 5 minutes left my skin feeling dewy and silky smooth (£27/75ml). 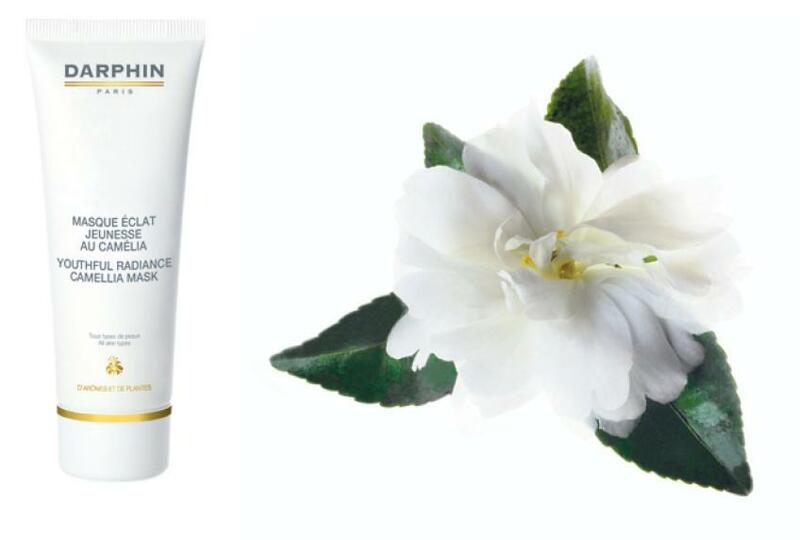 If you feel like pushing the boat out their Youthful Radiance Camellia Mask which firms and smoothes away wrinkles sounds heavenly for a more mature skin. This weekend premiers my festive celebrations, so this week I'm trying to get my self party-ready, but with a few months fluctuating between central heating and frosty outdoor temperatures my skin is certainly not glowing and my feet have been hibernating in UGGs so I'm not sure they will acclimatise to the peep top stilettos I've got planned for them. Starting from toe upwards, I've given the Micro-Pedi a whirl to try to transform my tootsies. This little battery powered gadget uses mineral rollers which rotate at an impressive 30x per second buffing away dead skin, to leave your feet feeling smooth and soft. The rollers are interchangeable and you can choose from the red roller or the blue industrial strength for super dry skin. It’s like a pumice without the arm ache! My girly feet I didn't feel were much of a challenge, so I let it lose on Mr blogmebeautiful's cracked and dry feet to see how the Micro-Pedi fared. The results were slightly revolting, but impressive as volumes of dry skin started to be buffed off by the 'extra strength' roller. Filling away his cracked heels and dry areas on the balls of his feet. I can't recommend using a towel under the feet strongly enough - you don't want to get dead skin ingrained in your carpet! If you have really dry, cracked feet or calluses have started to build up, I'd definitely recommend, but if you're feet are in generally good nick, your £39.95 might be better spent on a luxurious foot cream. 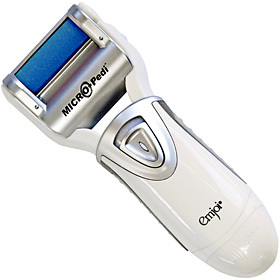 Boots.com currently have £10 off the Micro-Pedi so grab yourself a bargain! Apart from the name, Clinique's new eye make up has a lot in common with the drinkable smoothie, both being packed full of antioxidants, which in the eye smoothie's case, is nourishing to the delicate eye area. 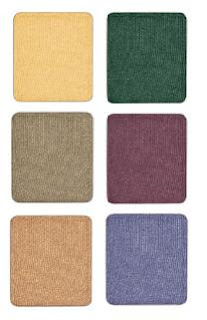 The creamy shadow can be applied directly with the unique applicator, which feels gorgeously cool over tired lids. Although wet when first smoothed on, the cream dries quickly to leave a velvety layer that wears for 8 hours. I did find blending the smoothies slightly challenging as too much of the cream was removed by my finger tips leaving a mottled appearance, especially with the darker shades. I recommend starting with a small quantity and building up layers to achieve the intensity you're after. 12 colours have been launched, the charcoal-grey Lick-orice teamed with the silvery Salt and Pepper work to create a smoky eye. Pinkgo Biloba and Currant Affair look great solo, or blend any shades together to personalise your look. These lovely tubes are £17/7ml and would bit a hit for any beauty junkie on Christmas day. The lovely people at Smartbox invited me to try out one of the gorgeous treatments available in their 'Zen and Spa Gift Box' last week. Sadly, I was indisposed but luckily, big sister BMB jumped at the opportunity to escape work and her toddler for the afternoon for some pampering at the Casa Spa, just off London’s bustling Edgeware Road. 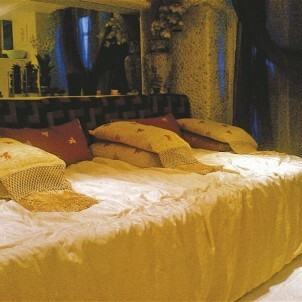 The Casa Spa is a North African themed haven run by the lovely (but authoritative!) Helen. Although small on the outside, it hides a gorgeous Turkish Bath and Arabian Hammam where you can experience a traditional Turkish massage cleansing and exfoliation treatment using Moroccan ‘black soap’. I started with a facial, given by Helen using lovely dermalogica products. The derma-clay in particular left my skin feeling deliciously tingly and clean. After the usual remonstrations about dehydration and lack of general care for my skin, Helen decided that my face needed ‘lifting’, particularly around the eye area – probably as a result of a bad night sharing my bed with my toddler son! Slightly apprehensively, I followed Helen into another treatment room where I was introduced to the LPG Endermologie machine. 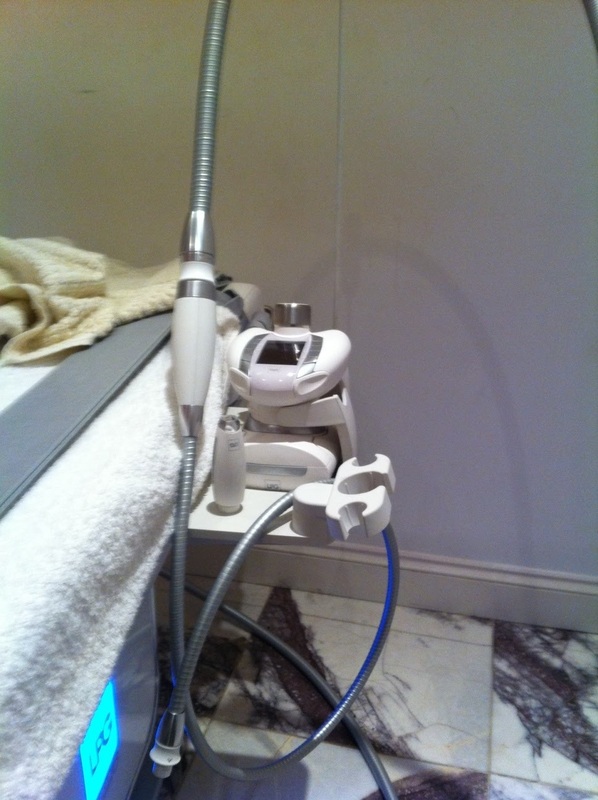 This rather scary looking machine used a non-invasive probe to provide lift stimulation to the needy areas of my skin. There were no needles or chemicals, and the therapist was able to use a special small probe to get right into my eye area to provide the stimulation. The idea with this treatment is that the lifting stimulation activates the production of collagen and elastin, producing sags and bags. The treatment can also be used on the body to smooth cellulite and to sculpt and smooth those saggy areas. I was a bit sceptical, but went ahead with the treatment. I was surprised at how painless it was, even in the sensitive area around my eyes. 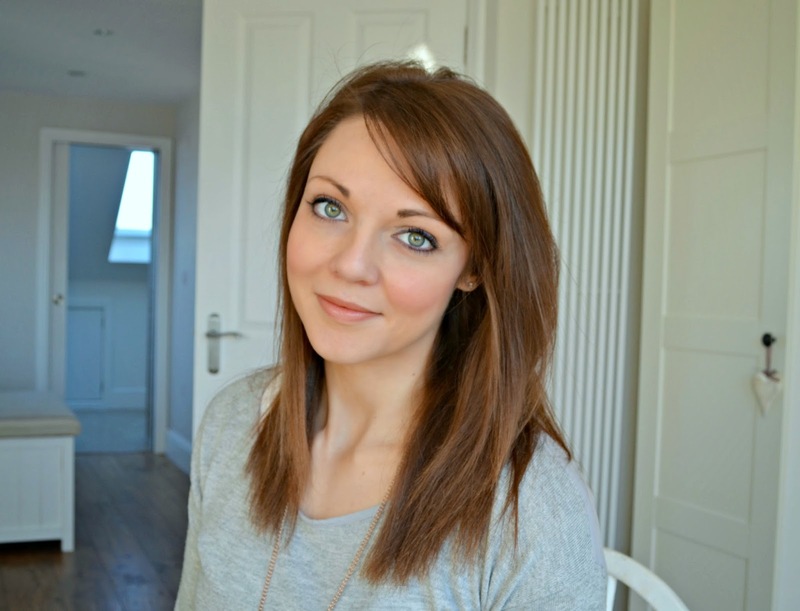 Once one side of my face had been treated, you could see a difference and after the treatment was complete my skin was definitely lighter and tighter in a good way. I’m not sure it is something I would do every month, as was recommended, but it could definitely be a good idea in the build up to a big day or special holiday where you want to look your best. The Casa Spa is one of over 200 options included in the Time Out ‘Zen and Spa Gift Box’ which would be a lovely thing for anyone to find under the Christmas tree this year. 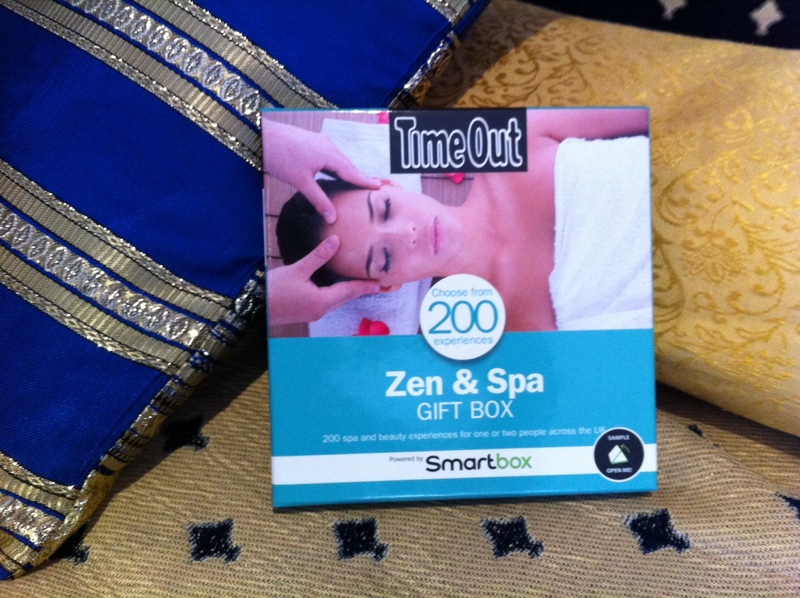 The Smartbox Zen & Spa Gift Box is £59.95 and can be redeemed at the handpicked locations across the UK where you can indulge yourself in one of over 200 treatments. Lip balm has to be every girl's handbag staple and I am currently loving Softlips French Vanilla that popped through my letter box last week. The gorgeous vanilla flavour reminds me of yummy cupcake frosting whist the hard working ingredients including vitamin E leave your lips feeling silky soft and protected with the SPF 20. 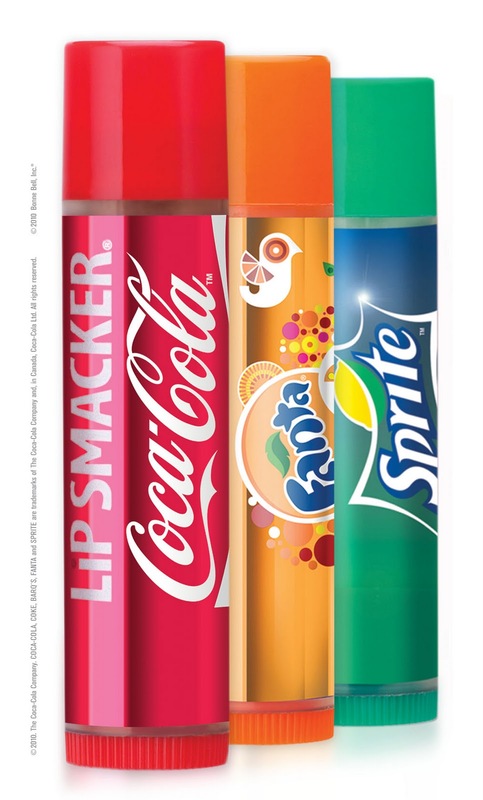 I also love the slimline stick which feels much more stylish than chubbier balms and also means it can slot into the smallest spaces. £1.87 avaliable from Boots and Superdrug. When products are made without the nasties, I'm always rather sceptical whether they'll be any good. Surely the chemicals are there because they're needed? Maison d'Anu pride themselves in delivering high end products using natural ingredients and their nail polishes are without the 'bad five' (toluene, formaldehyde, dibutyl, phthalate and camphor) promising to make your nail's look glam, but keeping them healthy at the same time. 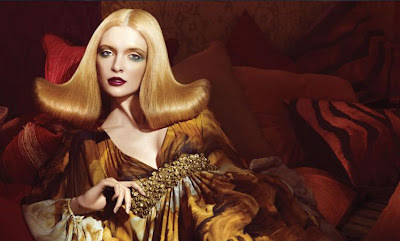 For autumn 2010 Maison d'Anu has launched the 'Gatsby Collection' four luxurious shades that give a nod to the Jazz era's decadence. 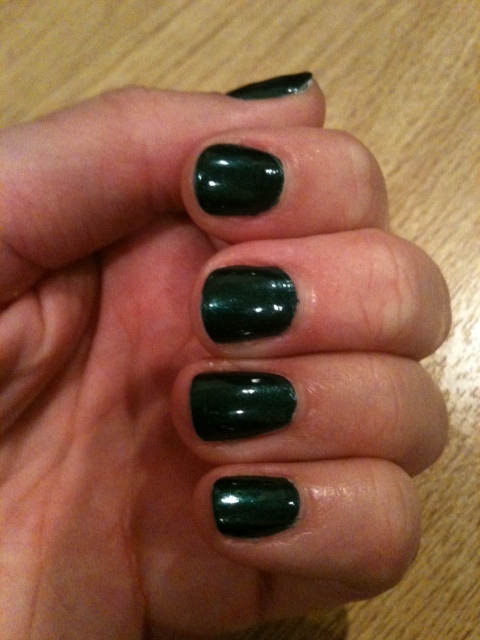 I was lucky enough to be invited to the launch event to try one of the polishes in the collection for myself, and while sipping prosecco, 'Green Light' was loving brushed on my talons, this deep emerald with a high shine finish really got me in the festive spirit. I've so far been impressed, the polish dried within 15 minutes of base coat, two colour layers and a top coat being applied and has remained chip-free for three day and I love the rich, regal colour. Maybe we don't need all those nasties after all? http://www.maisondanu.co.uk/ £9.95/12ml or £32 for the set of four polishes. Party season is approaching fast and the number of events starts to build up in the diary. Sadly, along with the excitement, the humidity levels are also rising which does nothing for helping us achieve glamorous hair for post-work fesivitities. I've been known to pop my GHDs and hairspray in my handbag for quick restyle at my desk before venturing out, but proximity to a large mirror and strange looks from my colleagues doesn't make this the complete problem-solver. For all you lovely London Ladies, I have found the perfect solution. 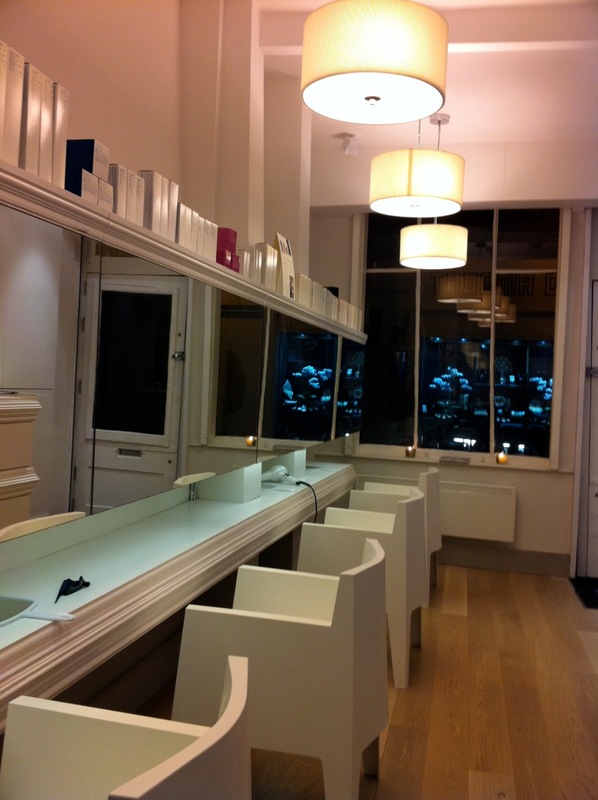 The Blow Bar found in Camden Passage, just by Angel tube offers a fantastic service. You can swing by after work or head over in you lunch break to get your locks preened and ready to party in under half an hour. 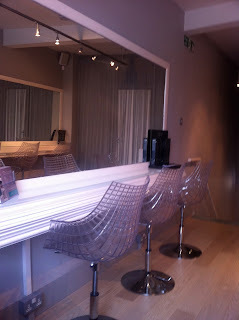 You can choose from the menu of nine different styles or tell the stylist what you envisage and they'll create If you're in a hurry you can skip the wash and go straight for the styling, whilst you sip on a cocktail or glass of bubbles from the fully licensed bar. When I popped in on a rainy Wednesday before having dinner with the girls I opted for the Gin Twist, one of the four new styles, launched to celebrate the Blow Bar's 1st birthday. The stunning Candice coiffured my mane with speed and precision, the result looking pretty much identical to the picture I'd been promised. Remembering the pain of ballet mums pinning my hair back before performances in my youth, I wish they had Candice's soft touch. Whist the style was delicately pinned in place, my hair stayed perfectly intact from 3pm until my head hit the pillow, receiving compliments from my girlies in the evening and beauty journalists at a launch I attended that afternoon. The salon also has a room upstairs where you can change into you frock, large mirrors so you can freshen up your make up and you can even leave your work outfit in safe hand to collect the following day. A signature style from the Blow Bar costs £24, they also provide a Wedding Service from £44 or why not host your hen do at the gorgeous salon? Ever struggled tying to match your lipstick with your outfit? Well ponder no longer and click over to mywardrobe.com as Max Facotor's award winning makeup artist Caroline Barnes has selected lipstick tones to compliment dresses in three of mywardrobe's fabolous trends. Until the 1st November, if you order one of these dresses, you will also receive the Colour Elixir Max Factor shade to complete your look. We just need Caroline to help us with the rest of our wardrobe now! After my gorgeous facial at Gina Conway Spa using lovely organic Aveda products, my skin felt so spoilt and pure I didn't want to undo all their good work by my smothering my skin in products made from petrochemicals. Thank goodness Purity Organic Skincare had sent me their range to try; with 98% of the ingredients from natural origin and 82% from organic farms I wasn't in danger of polluting my pampered skin. The Anti-Ageing and Regenerating Overnight Moisturisers (both at £7.99/50ml) are luxuriously thick in texture, containing sweet almond oil, Aloe Vera and beeswax to soften the skin, in addition, the day cream is also loaded full of anti-aging ingredients. Both leave the skin feeling hydrated and super-soft. As impressed as I am with Purity Organic Skincare's moisturisers and serums, I was slightly disappointed with their cleansing products. The Facial Wash (£4.99/50ml) whilst removed cosmetics effectively didn't give me that squeaky-clean feeling I get from other non-organic products. The range is all non-perfumed and is free from all petroleum derived and chemical ingredients, all of which will help to avoid irritating your skin. The packaging is all fully recyclable and the ingredients are sustainably sources and GM free, so you feel like you are doing you bit for the environment whist looking fabulous. Overall, I'm impressed at getting hardworking organic product with such a reasonable price tag. Purity Organic Skincare is available from Superdrug stores nationwide.